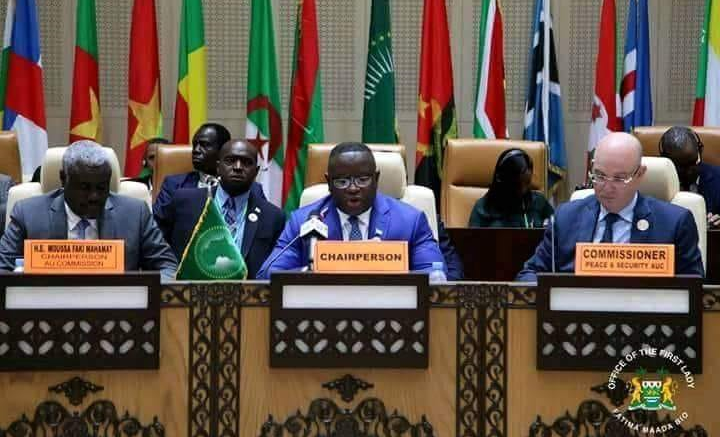 Nouakchott, Mauritania – At his inaugural meeting as Coordinator of the African Union Committee of Ten on UN Security Council Reform, His Excellency President Julius Maada Bio, on Saturday 30th June, called for Africa to be united on a common position. As Coordinator of C-10, President Bio informed committee members that he had instructed the Sierra Leone Mission in New York to prepare draft documents of Aid memoire for C-10 Heads of State and a concise language consistent with advancing the Common African Position for inclusion in the Statements of all AU Member States during the 73rd UNGA in September 2018 and other International Fora. 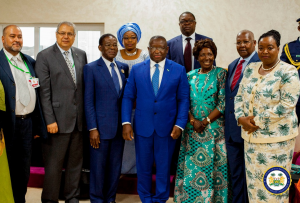 As a show of his commitment, President Bio also informed the C-10 members that he will host a C-10 consultative summit in Freetown mid-August this year. In attendance at the C-10 meeting were the President of Equatorial Guinea, Vice President of Zambia and Ministers of Foreign Affairs of the members of the Committee of Ten. Each speaker at the C-10 meeting congratulated President Bio for his election as President and commended him for his impressive opening statement in advancing the aspiration of Africa to reform the UN Security Council. His Excellency President Bio has a huge responsibility to unite and consolidate a common position not only among African Heads of State but also to garner support from permanent members of the Security Council and strategic partners around the world. Part of the mandate of C-10 is to advocate for the allocation of two Permanent seats and two additional Non-permanent seats to Africa in an enlarged UN Security Council. No doubt, President Bio has taken a huge task but his maiden meeting as Coordinator showed that he can provide great leadership. Members of the C-10 include the Heads of State and Government of Sierra Leone, Senegal, Uganda, Algeria, Kenya, Zambia, the Republic of Congo, Libya, Namibia and Equatorial Guinea. Be the first to comment on "Bio Calls for Africa Unity on Security Council Reform"